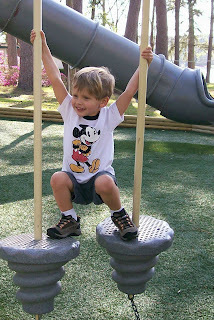 We have been spending time at our neighborhood park on one of the city parks each day. The weather has been beautiful here and we are determined to enjoy it while it lasts. 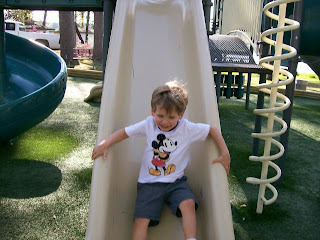 The pictures below are from one of our outings to the neighborhood park. 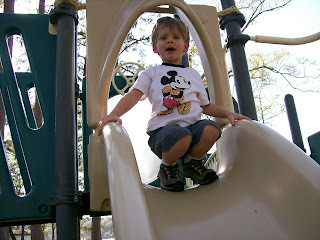 Dawson perched at the top of the slide. 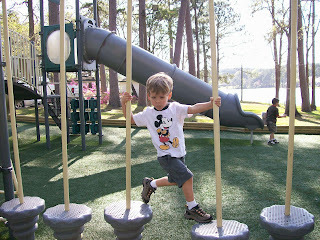 Swinging and clanging the stepping stones together.